EMAIL MARKETING | Synconics Technologies Pvt. Ltd. 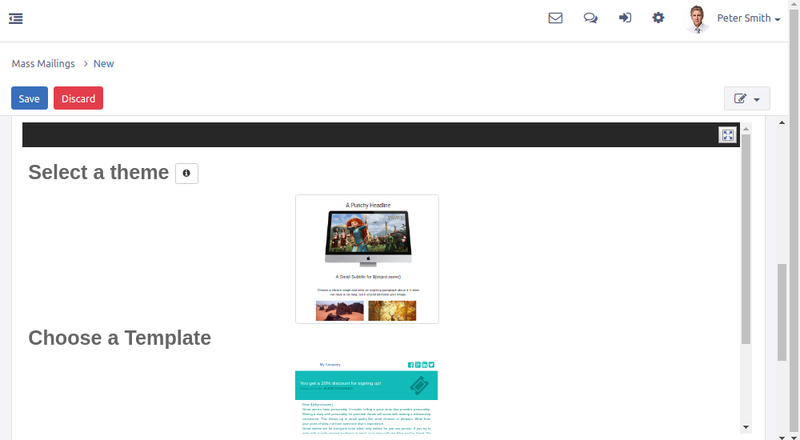 Drag & drop editor: Use our pre-made building blocks to structure your email. Insert headers and footers, calls-to-action, images, links, snippets and many more in just a few clicks. WYSIWYG: Add your text and graphics in real time directly within the editable content of your building blocks and get a live preview of what your email will look like. Action Button: Actions - like approvals - are immediately available in the email notifications. Themes: Pick one of our 9 awesome themes and change the layout of your email according to your taste without losing time starting from scratch. Templates: Save your emails as template and reuse them for your future campaigns. Craft successful email campaigns that resonate with your prospects without any IT knowledge. Get total control over your email content and layout thanks to an intuitive and easy-to-use software. You don’t feel like designing newsletters on your own? No problem! Just select one of our many templates, re-adjust the layout, add your message and images, and you’re ready to send your new campaign! Reply to: Specify an email to which the recipient can reply by clicking on the “Reply to” button from his inbox. Schedule: Select a time and date to schedule your campaign to be sent later. 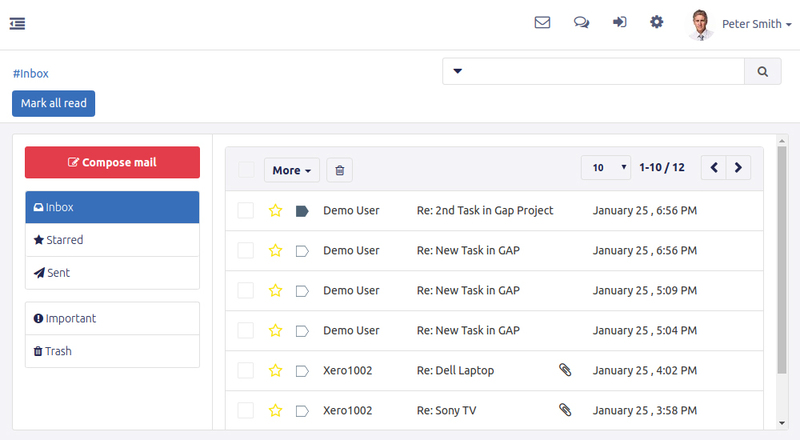 Archive your campaigns: Keep track of all emails sent and stock them in Odoo’s database. 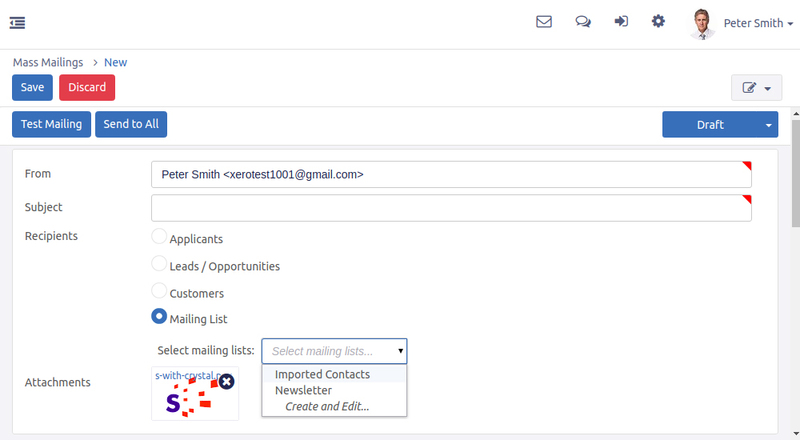 Import contacts: Easily import your contacts to Odoo from any CSV document. Create custom mailing lists: Segment your subscribers database by assigning them to one or several mailing lists. You can also select your customers, leads or opportunities from Odoo CRM as the recipients of your campaigns. Opt out: Automatically remove from your mailing list the contacts who opted out. Undelivered emails: Track last 24 hours undelivered emails, and get notified why they failed.. Fully responsive, 100% mobile friendly. 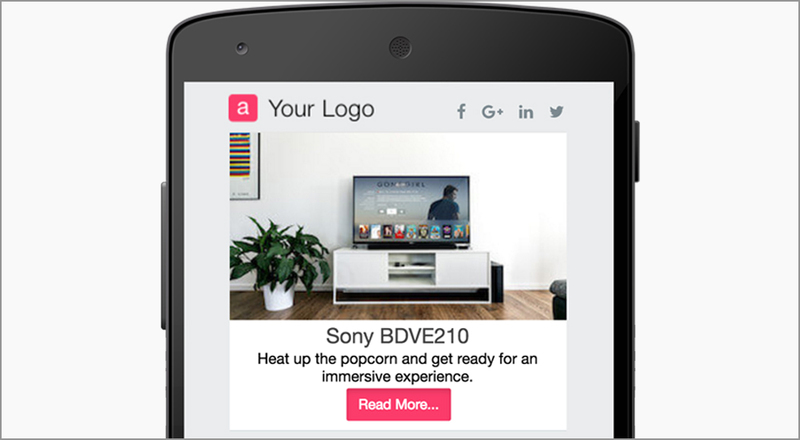 Be sure that your email newsletter is optimally displayed on every screen - whether it is a tablet, mobile phone, laptop, or desktop computer. Our dynamic content will adapt automatically to your subscriber’s screen by adjusting spacing and optimizing images, offering comfortable readability on any device.